Eric Clapton was already an acknowledged master of the electric guitar in January 1992 when he traded his signature Stratocaster for an acoustic Martin to record Unplugged. The live album captured the legendary guitarist, backed by a small band, performing acoustic versions of his own songs and several blues standards. Released later that same year, the album was an unqualified blockbuster, selling more than 19 million copies worldwide and earning six Grammy Awards, sweeping the top honors, including Record of the Year, Album of the Year and Song of the Year. Reprise Records celebrates Clapton s electrifying acoustic performances with a new 2-CD/DVD collection that includes a remastered version of the original album along with six unreleased outtakes on two CDs. The DVD features a newly restored version of the concert, as well as more than an hour of previously unseen footage from the rehearsal. 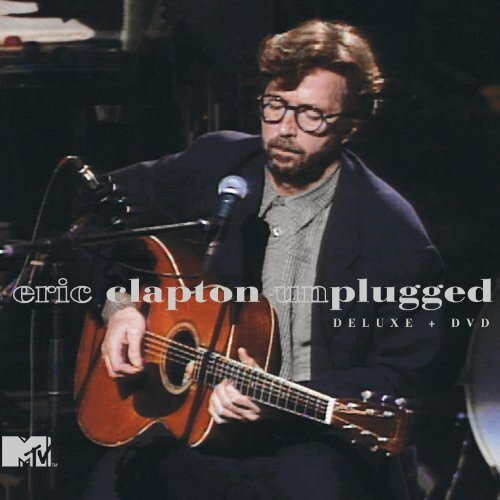 For the original album s 14 performances, Clapton reinterpreted songs from his rich catalog, including "Layla" completely reimagined as a shuffle from his time with Derek and the Dominos, "Running On Faith" and "Old Love" from 1989 s Journeyman, and the hit single "Tears In Heaven," a song he wrote after the passing of his young son Conor the previous year. Much of the album showcases blues songs Clapton grew up listening to, like Bo Diddley s "Before You Accuse Me," Big Bill Broonzy s "Hey Hey," Leadbelly s "Alberta" and Robert Johnson s "Malted Milk." The second disc includes several songs not on the original album, such as a cover of "Big Maceo" Merriweather s "Worried Life Blues," an alternate take of "Walkin Blues" and early versions of "Circus" and "My Father s Eyes" songs that would surface six years later on Clapton s album Pilgrim. The DVD included in this collection contains a newly restored version of the original broadcast, which aired August 25, 1992 on MTV. For the first time ever, fans will also have the opportunity to see more than an hour of unreleased footage recorded during the pre-show rehearsal. Filmed from multiple camera angles, it features an intimate look at Clapton and the band working on arrangements and running through 14 songs, including "Circus" and "My Father s Eyes," which were not featured in the final broadcast. View More In Soft Rock. If you have any questions about this product by Reprise, contact us by completing and submitting the form below. If you are looking for a specif part number, please include it with your message.